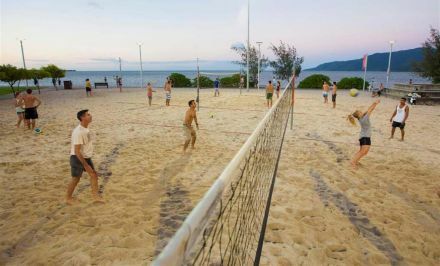 Want to learn to play Beach Volleyball, increase your skills, or just want to have a fun hour of sport? Elite coaches Joel and Luke lead this weekly clinic. The session combines skill training and play with groupings for all skill levels. Come on down and bash a ball! Please refer to the Cairns Esplanade Facebook page for up to date class notifications such as cancellations due to bad weather.